Smokers are probably aware of the effects of the nicotine in the body. As electronic cigarettes boom these days, many questions are being raised regarding the positive effects of using them instead of using real cigarettes. The real danger associated with smoking is the smoke from the burning tobacco. With the e-cig, there is no smoke, because there is no tobacco being burned. This is one of the reasons why many cigarette smokers turn to e-cigs. E-cigarette is the short term for electronic cigarette. It is a battery-operated device, wherein the heat turns the nicotine and other chemicals, including the flavour, into vapour that you inhale. This device is known to many as the smokeless cigarette, because it provides smoking with low levels of nicotine, although some have a more concentrated flavour. There are various designs, styles, and nicotine contents of e-cigs. The concentration of the nicotine is designed in varying amount for e-cig smokers to have options. It is up to you to choose what fits your lifestyle, especially now that technology plays a big part in the designs of the e-cig. 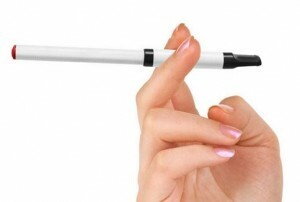 Some of them are designed with a common, cigarette-like appearance, while others are designed like pens or USB stick. Many e-cig users refer to the use of the devices as “vaping” and not “smoking,” and this is because an e-cig works differently than a real cigarette. The device works through its battery. It heats up and converts the e-liquid nicotine Australia into vapour mists, which are then inhaled by the user. The vapour from the e-cig leaves no odour, no smoke, and no bad taste, and will not affect other people within the surrounding area. As you will notice, you will never need a match or lighter to use this device, because it does not need to burn something to smoke. With its electronic design, the e-cig is much different from a normal cigarette. An e-cig has three main parts: the lithium battery, which is rechargeable; a vaporization chamber; and a cartridge. The battery can be charged just as you would charge a cell phone. The vaporization chamber is a hollow tube that contains the atomizer and the electronic controls of the e-cig. This atomizer is the part that creates the vapour. The cartridge is the part that contains the nicotine. It is in the tip of the e-cig and serves as the mouthpiece of the device. Before turning on the device, the user should insert the cartridge. The e-cig is inhaled from its mouthpiece. As you inhale, the atomizer starts it process and converts the liquid into vapours. The vapour inhaled is also exhaled afterwards. This device is expensive compared to traditional tobacco cigarettes. But because of its effects, and the option for lower levels of nicotine, many cigarette smokers opt to use the e-cig and leave smoking for good. Researches and studies are continuously performed as to the health benefits of the use of e-cig. Although e-cigs contain less nicotine, it is still better to consult your physician and seek professional help if you want to quit smoking.